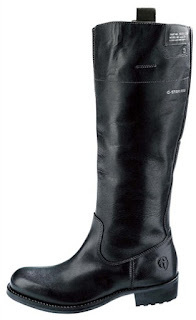 Take a look at these fantastic real leather Ladies Patton Rider Boots by G Star Raw. They are LESS THAN HALF PRICE, High Street Price £180.00, Our Price £69.99!!! They have branding to the side, leather upper and leather inner, and are available in Black.